We’ve been seeing tons of chevron pattern lately — on the walls, on throw pillows, on furniture. While it was refreshing to see the bold pattern getting some attention, if we never see another chevron wall it will be too soon. Trends come and trends go. What we love today might make us cringe tomorrow. With chevron and things like animal print becoming more and more passe, it’s time to look forward. Here are two decorating trends you can expect to see in stores in the weeks and months to come, and ways you can make your home ahead of the curve. It’s looking like fretwork is coming back. Fretwork is another geometric design, but unlike chevron, it’s much less repetitive. Fretwork is composed of interlacing, interlocking geometric designs, and some of them can be quite elaborate. Somewhat oriental in influence, most is either low relief on a solid background or cut out of wood. The lines of fretwork all call attention to the patterns in the negative space too. One of the most popular places for designers to incorporate fretwork is furniture. You’ll frequently see those signature interlocking lines gracing the tall backs of wooden or metal chairs. However, there’s so much more you can do with it. It can be used architecturally, perhaps in place of columns or to finish a half-wall with fretwork, which would add a lot of visual interest to a room. Like chevron, it would also be a great look for a wall treatment, especially overlaid on just one of your colored walls as a unique, modern-vintage accent wall. Photo by Dean Hochman. Creative Commons Attribution 2.0. 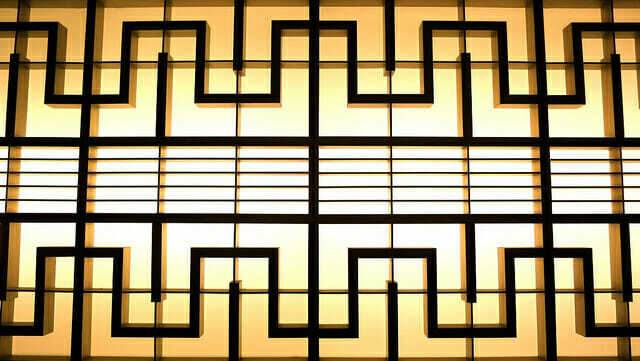 If the fretwork was too subtle for you, you’re going to start seeing somewhat of an Art Deco revival. Art Deco, which segued into the International Style of which you’ll also be seeing in the coming months, is almost timeless, but there’s something about it that’s reminiscent of French, Egyptian, and Mediterranean culture. Perhaps the emphasis on repetitive geometric patterns, bold colors, and detailing that’s somehow both sleek yet decorative that are evocative of the early twentieth century. In any case, it’s not difficult to incorporate the best parts of Art Deco into your home. For starters, you need to think geometric. Take fretwork as an example; incorporating bold, geometric patterns into your decor is a great place to start. 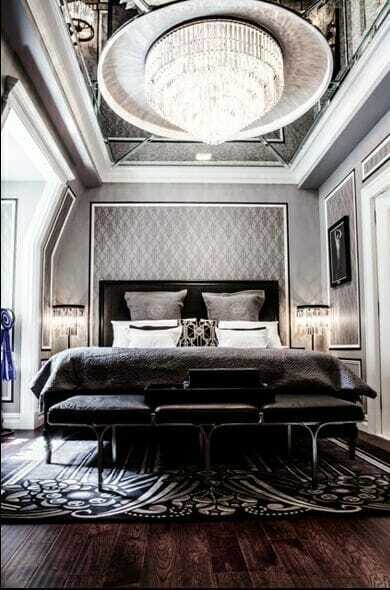 And don’t be afraid to experiment with more than one fretwork pattern in a single room; as long as the two patterns are equally focal and too competitive, this could be a great way to modernize your Art Deco look. Textures and finishes were also important to the Art Deco movement. The woods were rich and dark, chic leather chairs had satin studs along the seams, and don’t be afraid to use frosted glass in lamps and chandeliers. Art Deco might be modern, but somehow it’s still warm and inviting too. As for color, Art Deco design leans heavily toward bold color choices. And bold doesn’t have to mean neon colors. Bold simply means high contrast, so for a bathroom you could make it predominately white with black accents, such as fixtures, shower curtain, and towels. Pair dark royal blue walls with brushed gold fixtures. Bold doesn’t have to mean obnoxious or over the top.